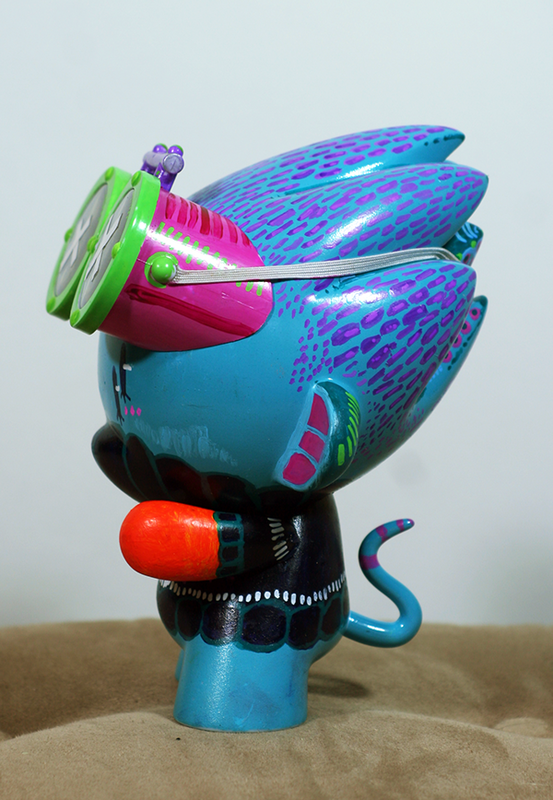 A customized 7" Kidrobot Foomi I made with spray paint, acrylic paint, paint markers, and artist tape. Currently on display at the Tribeca Atomic Wings from December 2013 to May 2014. 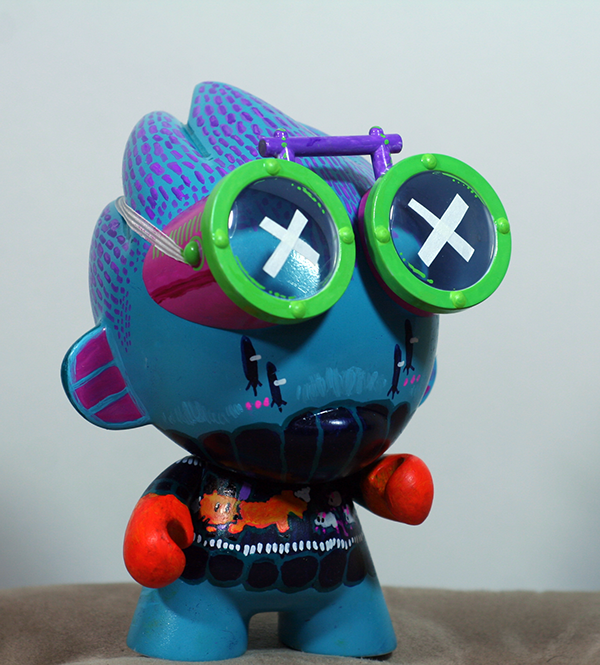 A custom Foomi made in 2013.